The CBD Isolate shortage is enduring and prices are holding. We are seeing serious price change resistance during the first round of early harvest hemp, when we would expect to see indicators of price relief, the opposite is true. Single kilo spot prices are holding between $7,800 and $9,000 per kilo, and ticking upward. There are outliers in the prices driven by two types of businesses, the farmer doing isolate splits who does not have a developed sales channel, and the desperate buyer who needs CBD isolate for their finished product. Total market variance for CBD isolate is between $6,600 and $10,200. Where will the prices move next? 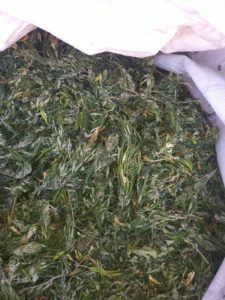 Harvest is a pivotal moment in the CBD industry. We get a glimpse of the relationship between COGS (cost of goods sold), processing power, and demand for isolate. The first early indicator is the price at which early biomass is selling. Our farm consultant is reporting the market is moving between $3.50 – $4.25 / pt / lb. This is what we expected in the market after harvest, but we are surprised that the early material is moving at this price. We believe this is the first sign of a squeeze in processing power. There are two early indicators that led to me to this conclusion. First, the small amount of biomass available at this moment is not garnering a premium. This indicates that there is not much competition between processors for the biomass material. If there was, we would see a bidding war and higher prices. With the demand for CBD isolate, we can assume that processors are operating at or near capacity. Major processors have a source of CBD outside of new biomass, and feel that their current source of CBD will hold them over until the full harvest is available. Processors do not feel the pressure of pay a premium for material. Second, in late fall during the biomass shortage, points of biomass were selling for $5.00-$6.50 / pt / lb. With prices now between $3.50 – $4.25 / pt / lb we would expect to see a drop in the market price of isolate, which is not the case. This indicates that demand for CBD isolate is outpacing the market supply. If you are a processor specializing in isolation, you have experienced a widening of profit margins, likely to the tune of 30%+ over the last 4 months. This pricing trend is unique to CBD isolate. Prices for bulk crude have held steady around $.0045 / mg CBD, with a variance of 20% based upon volume of order. I would expect the cost for crude to drop – due to more processing power for crude coming online, especially out east. We also expect to see a disruption in the crude industry once the Farm Bill passes, and biomass production increases in states with major hop production. There is another potential disruption coming from water based extraction. Current processing claims are 10-20x current large scale facilities. I do believe there are caveats to this claim, for example, removing the solvent, which is water, is much more difficult than removing ethanol due to the chemicals volatility. We are actively learning more about this new process. When Will CBD Isolate Prices drop? There is a potential disruption in the isolate market coming with new extraction facilities. I would estimate the USA market shortage of isolate to be 250-500 kilos / month. This shortage in isolate processing can be filled with a few new facilities, and these facilities are coming online. When they do, we will see prices drop to around $7,000 / kilo and stability return to the market. Remember, with the farm bill, CBD isolate demand is poised to grow exponentially, and we will see prices spike. 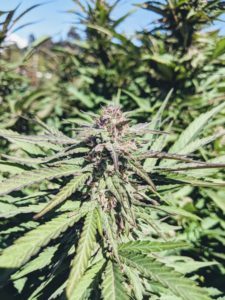 The real question is how fast will demand for CBD isolate grow?